Wizard has over 650 casino games and while they are all exceptional to play, we thought we’d narrow down it down to our top 5 picks. We understand It can be hard deciding on which casino game to pledge your loyalty to and that’s why it’s important to always have a go-to game in the time of great need. Whether that’s a popular Irish themed slot, a more mystical casino game that basis around mythical fantasies or a simplistic slot that requires no fancy themes to grab players attention. Whatever your preference may be, we have it all here at Wizard Slots and a fantastic variation of this in our selected 5. Everyone loves a classic, simplistic online slot and Diamond Strike produced by Pragmatic Play, certainly falls into that category. This traditional 5-reel slot has 15 pay lines and is dominated by sparkling crystals and all your recognisable fruits, creating a classy combination on the eye. 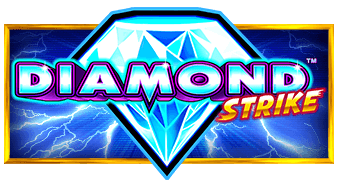 Diamond strike isn’t blessed with a vast range of bonus features however it does boast a free-spins round where you can undoubtedly enhance your score and win bigger cash prizes. Be sure to keep an eye out for the wild symbol (Diamond Strike) and the scatter symbol (labelled free spins) landing 3 of the latter will generate the jackpot bonus. Fluffy favourites by Eyecon, to many, is the face of online slot gaming, the fluffy favourites franchise has taken over slot market with its wide array of features bonuses and gaming verticals. The 5-reel 25 payline slot’s reels are packed with the iconic fairground animals that have become a figurehead of slot gambling, renowned in giving users the best gaming experience and big rewards. Its old-fashioned circus tent is a favourite too many, not just for the theme but for what the game itself holds in terms of bonuses. In the game, look out for the wild symbol (Pink Elephant) this can trigger free spins, the more that land on the reels the more spins you get. Look out for the Toybox pick as this could potentially multiply your wager up to 100 times. Moving on from one slot giant to another, Starburst is at the absolute peak of online slots. Produced by NetEnt is widely regarded as the number 1 slot game on the market right now, it’s mix of lustrous diamonds and crystals on an outer space backdrop gives the game a unique edge. The 5-reel and 10 pay-lines may seem like very little however it’s robust range of special features are what sets the game above the rest, the starburst symbol is one to keep an eye out for as this represents the wild symbol. The symbol will swap for many of the others which triggers a variety of winning combinations, as the game has fewer symbols can be an advantage to the player as it increases the likelihood of these appearing on a more regular basis. 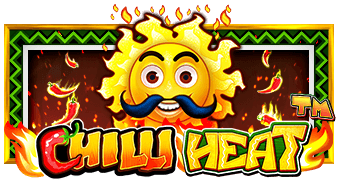 Chilli Heat, created by developers Novomatic centres around the wonders of Mexico, the 5-reel slot has an incredible 50 pay lines in which players can win cash prizes. Its fiery theme is emphasized by it’s clear and concise gameplay, supported by bonus features to increase your winnings significantly. The Mexican man is the symbol to watch for when playing chilli heat as this is disguised as the wild, this is able to replace all symbols on the reels bar the scatter. The scatter symbol arrives in the form of a chilli, spin three of these at least, you will win a worthy 15 free spins. Rainbow Riches Pick ‘n’ Mix is the perfect Irish themed slot game on the market right now, it’s lucky and generous feel certainly lives up to expectation when it comes to its features and prizes. Its energetic theme comes with a classic 5-reel layout with 20 pay lines for players to enjoy. The game has a big bet game button which allows players to spin a wheel which determines what bonus prize you get, landing on green and you’ll’ be awarded 5 free spins or activate the relevant bonus round when landing on a specific part of the rainbow. Stakes are modified between the range of 10 and 25, the higher the stake the greater the rainbow proportion. Whichever of our selected top 5 games you wish to play, you’ll be guaranteed to enjoy the variety of features and rewarding bonuses that they offer. Not everyone has the same preference when it comes to themes and that’s why it’s worth giving all of these games a spin even if it is only on demo mode before you start playing for real. Remember, you can read through the descriptions of each of these games by hovering over them and selecting ‘read more’ this will give you a more in-depth analysis of the game and what to expect from the gameplay. This way you can determine which of our top 5 is best suited to you.